A few days ago, NBC’s show TODAY spent five and a half minutes talking about vaccines. But they didn’t talk about vaccine safety studies and how they aren’t held to the same standard of other medicines. They didn’t talk about the revolving door between vaccine manufacturers and government entities. They didn’t even talk about why the CDC vaccine schedule has increased exponentially over the years. It was a hit piece that used a broad brush to label people as “anti-vaxxers” and accused them of deliberately spreading misinformation and preying on people’s fear. By the way, the “anti-vaxx” and “pro-vaxx” terminology creates a logical fallacy called a “false dichotomy” because the vast majority of medical doctors today would probably categorize their position as somewhere in between. Many doctors who consider themselves “pro-vaccine,” for example, do not believe that every single vaccine is appropriate for every single individual. Many doctors recommend a “delayed” vaccine schedule for some patients, and not always the recommended one-size-fits-all CDC childhood schedule. Other doctors choose to recommend vaccines based on the actual science and merit of each vaccine, recommending some vaccines, while determining that others are not worth the risk for children. Then, the segment featured a clip from our Global Health News series, a quick sound bite designed to portray TTAC as dishonest and fear-mongering. The clip was used without our knowledge, and NBC did not reach out to us for comment. Host Kristen Dahlgren began the segment by repeating the WHO’s statement that vaccine hesitancy is a top ten global health risk. She then introduced Ethan Lindenberger, who testified on Capitol Hill recently about the role of social media in spreading “misinformation” and “fear-mongering” that Dahlgren said puts many people at risk. Lindenberger is an 18-year-old boy from Ohio, with no background in medical research nor any other credentials or experience that would qualify him as an expert in any way. The teen gained some notoriety when he chose to be vaccinated after turning 18. His mother had chosen not to have her children vaccinated, and it wasn’t until his 18th birthday that he could choose for himself. When asked where he gets most of his information, he said, “not Facebook” and cited the CDC and WHO as his primary sources. To be clear, both the CDC and the WHO have Facebook pages where they routinely share short videos or images, often with links to relevant health articles. Lindenberger fancies himself a social media whiz, having listed OH! Publishing as an employer, but his Reddit page clarifies that he simply helped a friend set up social media accounts to promote a book. He also has two Facebook accounts, allegedly because he forgot his password. Why we’re listening to an unqualified young man who can’t figure out how to reset his password explain the dangers of social media remains a mystery. 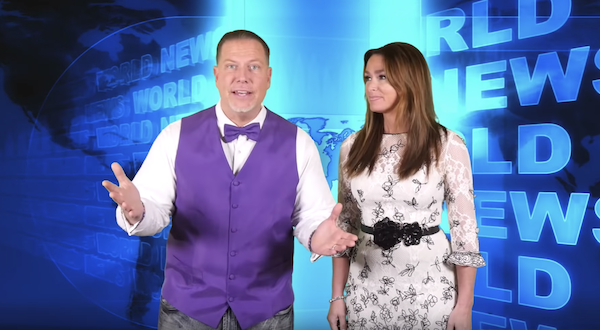 The host went on to accuse “anti-vaxxers” of “blanketing social media with misinformation campaigns” that are “designed to scare families,” while showing logos from TTAV, the documentary Vaxxed, and the National Vaccine Information Center. Wow! So we must be looking at thousands and thousands of measles cases to be considered an outbreak, right? Wrong. According to the CDC, from January 1 to February 28, 2019, 206 individual cases of measles have been confirmed in 11 states. Doing the math, that’s an average of about 19 cases per state. NINETEEN … ONE NINER. Not exactly what most people would think when they hear “outbreak” is it? But according to the CDC, an “outbreak” is defined as 3 or more cases. Can anyone say “fear mongering”? Oh yeah, since 2000, there have been a total of eleven reported deaths from measles, or an average of one death every couple of years. While any death is tragic and heartbreaking, you can see that measles is not typically a deadly disease. The number of Americans who die from measles every year is about the same number that die from a scorpion sting! You’re about 100 times more likely to die from being struck by lightning than from measles in the USA. HMMMMM… Ms. Pisani is referring to measles, which she claims was “eliminated” from the USA years ago. But that’s a misleading play on words, because “elimination” does not really mean “eradication.” In 2000, when the CDC said that measles had been eliminated in the country, they actually meant that measles was no longer endemic. In other words, any measles cases that occurred would come from people traveling to the country. At the 2 minute mark, they show a clip from Global Health News, singling out the line where Ty says, “The only science that’s settled is that vaccines harm.” In the episode, we discussed mandatory vaccinations, state senator Richard Pan’s refusal to discuss whistle-blowers in the CDC, and unsupported claims about vaccine safety. After diving into the issues with safety testing and research – in the context of a discussion about mandatory vaccination – we pointed out that the only thing we know for certain is that vaccines can cause harm. This was a blatant and unethical attempt to slander and discredit our work and our mission. The clip was carefully used to fit Dahlgren’s narrative, and we were lumped unfairly into the “anti-vaxxer” and “misinformation” categories without so much as an email requesting a comment. After the slanderous attack on our mission, we were introduced to Dr. John Torres, an ER doctor and NBC medical correspondent. They asked him about three vaccine “myths.” Since preventing misinformation is such a priority for the network, we’re going to fact-check Dr. Torres’ responses. Concern: Vaccines can cause autism. Torres’ Response: There was one study that’s been disproven. Multiple studies show that vaccines don’t cause autism. The Thorsen study was a CDC sponsored cohort study and was published in the New England Journal of Medicine in 2002 and Pediatrics in 2003. There were 7 other co-authors of the study, and they looked at Danish data between 1991 and 1998. Thimerosal was removed from Danish vaccines in 1992, and the Thorsen study indicated that not only did autism rates not go down after its removal, they actually went up. Therefore, there was no link between thimerosal (mercury) in vaccines and autism. Therefore, vaccines do not cause autism. Here’s the “rest of the story” that was never included in the Thorsen study’s findings. It’s a perfect example of “lying by omission”. During that period, the Danish registry added “outpatient clinics” to their count of autism cases, when these cases had never been included before. It turns out that 93% of Danish children are diagnosed with autism at outpatient clinics, but the number of autism cases before 1995 did not include the clinics. Also, in addition to adding outpatient clinic autism diagnoses, there was also a new law requiring, for the first time, that autism cases be reported on the national registry in Denmark. The combination of these 2 factors is what likely accounted for the sudden rise in reported cases of autism, not the removal of mercury from vaccines. But that’s not all. Of the 8 co-authors of the study, Poul Thorsen was actually a CDC employee, three co-authors had received direct funding from the CDC on vaccine-safety related projects, and two of the co-authors were employees of Statens Serum Institute, a Danish vaccine manufacturer. None of these conflicts are mentioned in the study. In a report released September 18, 2017, our good friend, Bobby Kennedy, and his team outlined various criminal acts committed by the CDC, whose “problematic” ethics coupled with downright scientific fraud have resulted in extremely unreliable vaccine safety science. And this isn’t the first time we’ve seen a problem with study ethics. The FDA conducts inspections of clinical sites where human testing is underway. They sometimes find misconduct or substantially substandard practices, but aren’t able to relay the issues to the medical community, so the studies are still published. In a JAMA Network review, 57 studies published between 1998 and 2013 were found to have falsification or submission of false information, problems with adverse events reporting, protocol violations, inadequate or inaccurate recordkeeping, failure to protect the safety of patients and/or issues with oversight or informed consent, and violations not otherwise categorized. The studies we see are not always backed by good science. Among other alarming information, Kennedy has found evidence of criminal activity by Poul Thorsen. The evidence, recently uncovered by Children’s Health Defense, shows that Thorsen and his collaborators did not obtain permission from an Institutional Review Board (IRB) to conduct their research. In 2009, when CDC discovered that Thorsen never applied for the IRB approvals, they did not report the errors and retract the studies. Rather, FOIA documents show that CDC supervisors ignored the missteps and covered up the illegal activity. In 2011, The Department of Justice indicted Thorsen on 22 counts of wire fraud and money laundering for stealing over $1 million in CDC grant money earmarked for autism research. Thorsen is currently on the “most wanted” list on the OIG website. 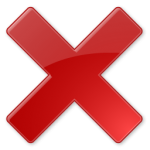 Despite the obvious ramifications of the above-omitted details, conflicts of interest, and criminal activity, the Thorsen study was never retracted. And here’s the kicker: This fraud-tainted study is now cited as one of the primary studies that form the backbone of the popular orthodoxy that vaccines do not cause autism. There have been several instances in which experts and professionals who speak up about the connection between vaccines and autism have been quickly silenced. Dr. Andrew Zimmerman, Dr. William Thompson, and even Congressman Mark Green have been threatened, persecuted, or simply dismissed at the first sign that they are unwilling to play ball with the vaccine industry. Further, the Vaccine Injury Compensation Program has paid over $4 billion to families who have suffered injury or death caused by vaccines. Given the low reporting rate, rigorous application process, and unique rules that make findings for the plaintiff uncommon, this is a massive number. Have you ever heard of Hannah Poling? Hannah’s father, Jon – a Harvard trained medical doctor/neurologist –claimed in 2008 that Hannah’s autistic symptoms were caused by a vaccine reaction after she had received 5 vaccines (DTaP, Hib, MMR, Varicella, and Polio) at the age of 19 months. Here’s what’s interesting: Hannah had been part of a study of normally developing children prior to being diagnosed with autism and had received an advanced brain imaging technology being developed by Harvard University. Dr. Jon Poling was able to present compelling evidence that the vaccine reaction was causative of Hannah’s autism. The vaccine court ruled in favor of Poling stating that there was sufficient evidence to conclude that vaccines given to Hannah Poling likely aggravated an underlying mitochondrial disease causing brain damage with features of autism. The Poling family was awarded $1,507,284. 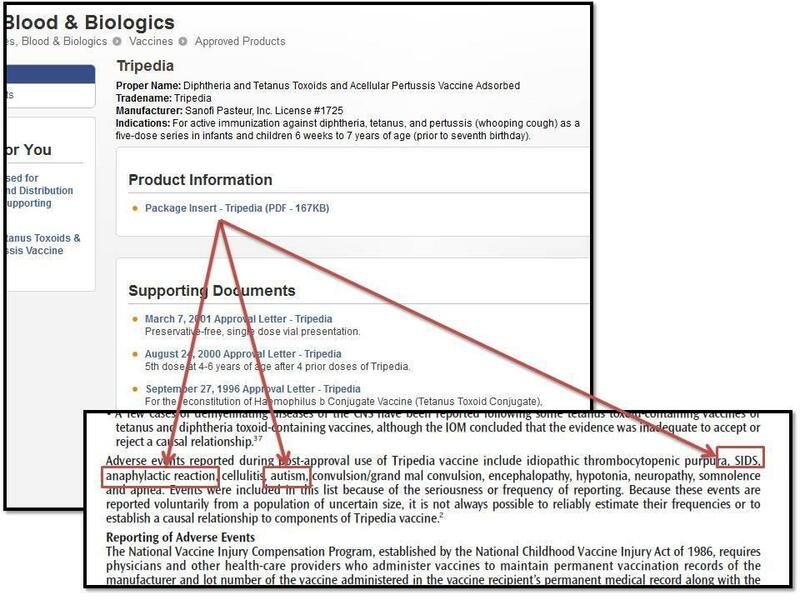 Also interesting is the Sanofi Pasteur “Tripedia” Vaccine insert (for the DTaP vaccine) which lists autism as a possible “adverse event.” The Tripedia vaccine was taken off the market several years ago due to public outcry about its link to autism and other adverse affects. It’s crystal clear that the science is not settled regarding vaccines and autism. Concern: Infant immune systems are not able to handle the burden of the current vaccine schedule. Torres’ Response: Infants have very strong immune systems to begin with. They are exposed to thousands of germs every day. The shots only have a few germs to prime their systems and are totally safe. Fact Check: Infants are born with very susceptible immune systems. For the first month or so, most of the baby’s immunity is passed on from the mother. Their immune systems develop as they encounter various viruses and germs, but the process takes time. Infants have weak immune systems that can be compromised by such a heavy load of antigens and toxins at such an early age. What’s more, this suppressed immune response is necessary for the child to develop healthy gut bacteria, which are necessary for a strong immune system. Toxic adjuvants in vaccines cause the body to go into a protective mode that prevents healthy bacteria from getting in, potentially causing permanent damage. In addition to the relevant antigens (the virus itself), vaccines contain a host of preservatives, adjuvants, and antibiotics including thimerosal (mercury), aluminum, gelatin, and MSG, are just a few of the ingredients commonly used. It is thought that the rise in childhood allergies may be a result of increased exposure to these ingredients and other toxins. Additionally, certain cell lines, like WI-38 and MRC-5, are derived from aborted fetuses. These are used in vaccines for Hepatitis A, Rubella, chickenpox, and shingles, to name a few. 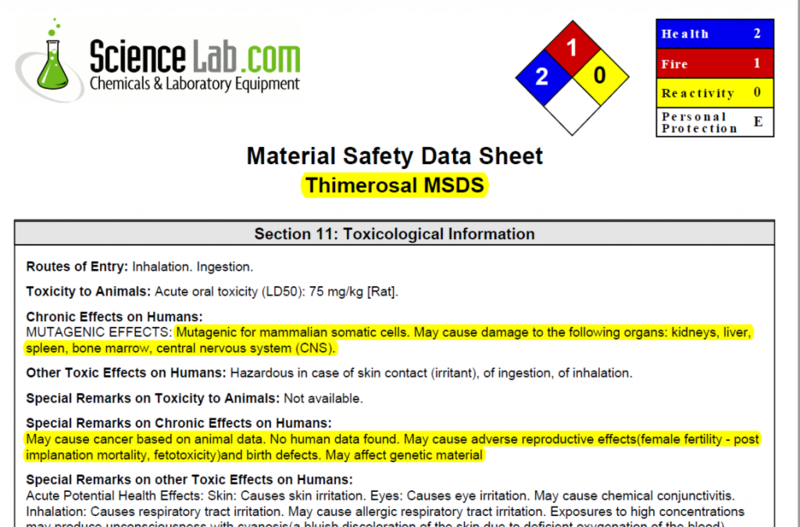 Below is the MSDS (Material Safety Data Sheet) for thimerosal. As you can clearly see, these do not look like benign substances. Concern: The body’s immune system is better than any vaccine. Torres’ Response: The body’s immune system is better only once you’ve been exposed to the disease. Measles has a 1 in 500 death rate and the vaccine has a 1 in 1,000,000 chance of an allergic reaction. Fact check: It is true that the body builds immunity based on exposure to various germs and diseases. However, according to Physicians for Informed Consent, the fatality rate of measles is closer to 1 in 10,000. This number (0.01%) is 20 times smaller than Torres’ number (0.2%). Conversely, the WHO says that reactions to the MMR vaccine are “not uncommon.” The risk of a fever over 103 degrees is between 5 and 15 percent. Rashes occur between 2 and 5 percent of the time. Anaphylaxis occurs in as many as 10 in every million doses. The rate of seizures caused by the vaccine is about 1 in 3,000. Torres says the odds of an allergic reaction are 1 in a million, or 0.0001%. The odds of severe fever, rashes, anaphylaxis, and seizures are 15%, 5%, 0.001%, and 0.033%, respectively. Again, these numbers come directly from the WHO website, and expose Torres’ as either a liar or an unreliable source. For someone who claims to be battling misinformation, neither Ms. Dahlgren nor Dr. Torres seem very interested in accuracy. But maybe there’s another reason for such a biased, slanderous, and inaccurate report: money. At TTAC, we are pro-freedom and pro-knowledge. We believe that no government should dictate what chemicals we put into our bodies and that we should be able to travel freely across state lines without carrying papers that verify our compliance. These are not wild, unfounded fears. These are based on real legislation in motion right now regarding mandatory vaccination. We support Ethan Lindenberger’s right to choose vaccinations, just as we support his mother’s decision to abstain. What we will not abide are the lies being pushed by manufacturers, health organizations, and major media outlets. We do thorough research before publishing an article, eBook, or docu-series. We interview experts from around the world and spend hours pouring through scientific studies so that we can give you all the information you need to make the decision that’s right for you, no matter what that decision may be. Vaccines are one of the most polarizing topics of our day. People on both sides have dug in their heels and are unwilling to have an open discussion. The moment that a person questions the safety of vaccines, they are branded as a dangerous lunatic. But we challenge you to look through some of our articles. Look at our coverage of Vaxelis, or the yellow fever vaccine. Check our sources. Our goal here is to present the truth. Shame on you, Kristen Dahlgren, and shame on the executives at NBC. This was not reporting; this was a targeted and dishonest attack. If NBC, Kristen Dahlgren, Dr. John Torres, or Ethan Lindenberger want to join the fight against misinformation and fake news, perhaps they should start by looking in the mirror. 1| Vaccines have not been proven to be safe. New vaccines are routinely tested against confirmed dangerous ones in order to arrive at what appear to be positive outcomes, and the timeline for these studies is significantly shorter than for other drugs seeking FDA approval. 2| There’s too much money being pumped into the system by the pharmaceutical industry. Those who serve in the CDC Immunization office are often rewarded with lucrative jobs by some of the industry’s biggest companies, including Merck, who has been repeatedly accused of defrauding the U.S. government but continues to be one of the leading manufacturers of U.S. vaccines. 3| Vaccines use preservatives that are known to be dangerous. Many vaccines are accompanied by adjuvants like aluminum and mercury. These toxic substances can wreak havoc on the immune system and have been linked to a host of diseases. There is evidence that these preservatives cause a number of health issues, including autism. 4| Infant immune systems are not equipped to handle the load that the current vaccine schedule presents. In order to develop healthy gut bacteria, infant immune systems are initially suppressed. The massive load of toxic adjuvants and antigens put the infant body on defense, preventing healthy gut bacteria and permanently damaging the child’s immune system. 5| Vaccine manufacturers are not liable for harm caused by their products. Lobbyists have pressured the government, claiming that to NOT make vaccines available is unethical. That’s why there are no studies comparing vaccinated and unvaccinated populations. If you or your family are injured or killed by vaccines, you have to go through the Vaccine Injury Compensation Program, where you essentially sue your own government for the negligence of private corporations. 6| Freedom of information is under assault. Politicians who question vaccine safety are quickly silenced, and expert witnesses are dismissed and misrepresented if their findings don’t support the vaccine industry. Now we’re seeing social media platforms caving to pressure by silencing anyone who speaks out against the CDC schedule, safety testing standards, or the millions of dollars the industry spends on lobbying efforts. Get The Truth About Vaccines. 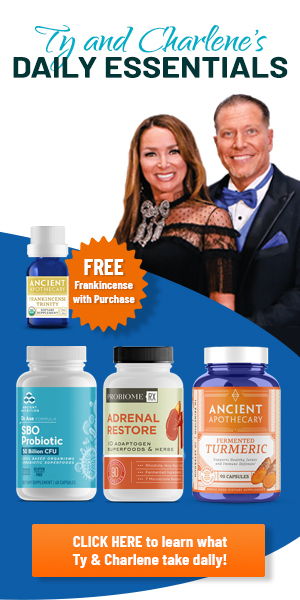 Ty & Charlene Bollinger are devoted Christians, health freedom advocates, health researchers, documentary film producers, and best-selling authors.After losing several family members to conventional cancer treatments, they set out to learn the truth about cancer and the cancer industry, working together tirelessly to help others to learn the truth that sets them free to live healthy, happy lives.Ty & Charlene's heartbreak and grief coupled with their firm belief that chemotherapy, radiation, and surgery were NOT the most effective treatments available for cancer patients, led them on a path of discovery. On their journey, they interviewed cutting-edge scientists, leading alternative doctors, and groundbreaking researchers to learn about hidden alternative cancer treatments. What they uncovered helped to create The Truth About Cancer and its three awe-inspiring docu-series: ”The Quest for the Cures”, “The Quest for the Cures Continues”, and “The Truth About Cancer: A Global Quest.”Ty & Charlene speak frequently at seminars, expos, conferences, and churches. Together, they host a biweekly internet news program: TTAC Global Health News.Their message is clear: CANCER IS NOT A DEATH SENTENCE. THERE IS ALWAYS HOPE. We love you TTAC! What you have already accomplished in sharing the TRUTH with the world is powerful and inspiring. We do not vaccinate and each time I read your articles or watch your videos I am fueled with new assurance in my stance that lets me share confidently with others – and to do it with love and respect. You all are a class act and I want you to know that you are loved and appreciated by SO many in the health community. Keep pressing on! You are doing incredible work! Wow – thank you for sharing this lovely feedback with us!! We’re so happy to hear this. Thank you, yet again Ty and Charlene! I’m so grateful for the voice of reason you bring to the table, valuing and sharing documented research and knowledge. Actually, we do have controls in the USA for vaccinations: they are known as Christ Scientists, Jehovah’s Witnesses, and the Amish. Dr. Brad Case in his book, Thugs, Drugs And The War on Bugs, goes into the vaccine controversy in great detail and relates how an investigative reporter found only 4 cases of autism among the Amish: 3 were adopted children who had been vaccinated, and one had been exposed to mercury accidentally! The reporter calculated that statistically, at present rates, there should have been about 120 cases of autism present. Anyone interested in history might want to read Suzanne Humphries excellent book, Dissolving Illusions: a well researched history of vaccines. Europe and parts of the USA went through this same sort of hysteria back in the 1800’s with mandatory smallpox vaccinations – armed police going door to door; vaccine “deniers” being thrown in prison – with the result of massive outbreaks of the disease in populations that were 90+ vaccinated (can anyone say “herd immunity”). Suzanne – who started out as a “garden variety” albeit honest doctor – started researching the subject when some of her patients had their kidneys destroyed after being vaccinated for the flu! She was amazed to find that the more she questioned the mandatory vaccinating of every patient who entered clinic – no matter what their medical condition – the more she was shunned and ostracized by her superiors and the rest of the staff. NBC was not the only media outlet with a ‘misinformation media blitz’ about vaccines. There have also been a series of one-sided pieces on NPR promoting misleading, and even false information. There is no attempt at journalistic ethics or standards of seeking the truth by diligent examination of all sides of the issue, which is pretty remarkable for NPR who are known to go to great lengths to obtain the opinion of every climate science denier or pro-military imperialist that they can find. This because they cannot dare to expose the fact that they are taking their marching orders from the pharmaceutical industry, therefore they will not publicly interview anyone representing the medical ethics of first doing no harm, the precautionary principle, or the right of informed consent, let alone honest clinicians and researchers with even a modicum of knowledge about the scientific studies on vaccines, the publicly available archives of adverse events, federal laws, or supreme court decisions. Neither will the media report about the number of bills being considered in almost half of the states in the country that would force all individuals to be vaccinated with whatever the pharmaceutical industry and their paid puppets leading government agencies and in congress (look at who is donating to those in congress–information that is not hard to find) deem necessary (not you or your doctor). They would like you to forget about the recent examples of ineptitude, greed, death and destruction at the hands of the pharmaceutical industry in the current opioid crisis, the recall of multiple blood pressure medications with cancer-causing impurities, the infamous case of Vioxx (estimated 60,000 people sacrificed), and the emerging crime of the HPV vaccine–the list goes on. Yet, we are told to blindly submit, no questioning permitted, to the vaccine regimen. Failure to do so is met with ostracizing, deleting of social media accounts, surveillance, denial of freedom of speech, denial of human rights, and perhaps soon imprisonment.